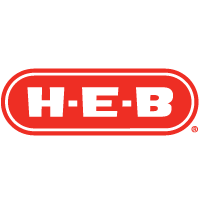 Established in 1905 in Kerrville, Texas, H-E-B has grown to serve more than 150 communities in Texas and Mexico. H-E-B partners with local farmers and suppliers to bring customers fresh produce and quality meat and seafood. H-E-B strives to provide the best customer experience at everyday low prices. Our namesake H-E-B® brand products are made for the love of Texans and deliver uncompromising quality. Only here can you find products specifically created for Texas tastes, like H-E-B Fully Cooked Brisket, H-E-B Seasoned Fajitas, and H-E-B Cafe© Olé coffee. Visit your local Falfurrias H-E-B today!